Working people can't afford to eat. Last year one in five Americans was on food stamps. In Vermont, the number was one in six. These people work: Six in 10 households nationally earned money the month they started getting help; nine in 10 worked in the previous or following year. People earning the minimum wage can't afford to eat if they also want to live indoors. With heat. At Vermont's 2013 minimum wage, $8.46 an hour (it's now $8.73), two full-time, year-round job holders bring in a total of about $2,900 a month. According to Hunger Free Vermont's analysis, based on the basic-needs budget of the Vermont Legislative Joint Fiscal Office (JFO), their bills leave them a deficit of about $2,100 each month. Of course, not all families have two earners. Almost a third of Vermont's children live with one parent, and a third of the state's single mothers are poor even though they work full time. Government subsidies help. Still, the working couple described above, with two kids, enrolled in every program on the menu — food stamps, childcare, tax credit, etc. — will find itself about $15,000 in the hole by the end of the year. It's no wonder that 2,800 Vermonters are either homeless or "precariously housed" on any given night. And thousands more have no food in the fridge. "In low-income families, food is paid for last," says Dorigen Keeney, program director at Hunger Free Vermont. "So when they don't have enough money to live, they're hungry." Montpelier is proposing an increase in the minimum hourly wage to $10 in 2015. That would bring the wage up to its 1979 level, accounting for inflation. In other words, even if the minimum wage is raised to $10, the lowest-paid workers will not have had a raise in 35 years. Meanwhile, Vermont's total personal income grew 20 percent from 2002 to 2012, while median income dropped 5.5 percent, according to Public Assets Institute. The woman changing the hotel sheets is not making money. Maybe you aren't, either. But someone is. In fact, the Washington Post reports that America's wealthiest have gained back everything they lost in the recession, "and then some." And yet, we are told, Vermont's employers cannot afford to pay their workers enough to eat and still pay the rent. "We support the idea that everyone should be making a living wage, but we need to balance that with employers' ability to pay those wages and not drive them out of business and create higher unemployment," Lucy Leriche, deputy secretary of the Vermont Agency of Commerce & Community Development, told Vermont Watchdog. The state, our leaders tell us, cannot ask the put-upon employers to raise wages and still pay workers for the time they need to go to the doctor or stay home with a sick child. Not yet, anyway. "At this point in time, there really isn't enough support to pass the [earned sick leave] bill," Speaker of the House Shap Smith told Vermont Public Radio, explaining why he is not bringing the bill to the floor. "These are the kinds of things that take some time to move forward." Smith suggested that more study might be needed. Support, history, data? This bill has them all. Thirty sponsors, 72 percent support among Vermonters polled. Public institutions from Vermont Businesses for Social Responsibility to the Times Argus editorial board are behind it. Earlier versions of the paid sick day bill "date back a decade or more," VTDigger reported. Studies of the effects of both a higher minimum raise and paid sick leave are plentiful — and positive. "In most of the minimum wage studies performed to date, the expected reduction in demand for labor has either been nonexistent or of relatively small magnitude," notes a recent memo on the minimum wage prepared by Kavet, Rockler & Associates for the JFO. The economists calculated that a rise to $10 might cost 250 jobs in Vermont, or less than 0.1 percent of total employment. In San Francisco and elsewhere, raising the minimum wage has coincided with job growth and has had a negligible impact on profits. But do we really need more data to show that higher wages are good for low-income workers? That taking time off when you're sick is good for the sick person, her coworkers and — if she happens to serve food, which a large number of minimum-wage workers do — her customers? I mean, has there ever been an improvement to workers' lives that the Chamber of Commerce did not decry as the first step toward widespread catastrophic business failure? The Chamber of Commerce will never support higher wages or better working conditions. Can we just stop asking them, and move on? There are only two ways to fix economic inequality. 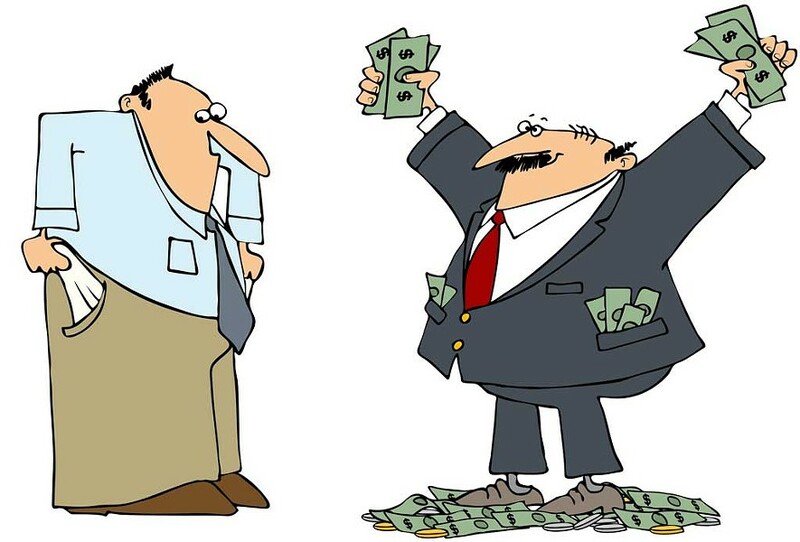 One is for employers to pay more, which means that executives and stockholders earn less. Since CEOs were earning 209 times their workers' salaries in 2011, there's room for redistribution. But companies won't do this on their own. And unions, which once had the power to force them, are weak. It's up to government to make it happen. The other way is for the government to make up the difference in workers' buying power. If we were interested in ensuring economic security for everyone, it would mean a lot of workers and a lot of money. After all, a graph in the Kavet memo shows that for a single parent with one child to earn the state's living wage, without government subsidy — that is, to take in enough for groceries and clothing, rent, gas, childcare and the rest, plus insurance and savings — she'd need $30 an hour. And if we are in a "post-work" economy, as some economists believe — where global capital doesn't need as many Americans, or as many humans, as it did — a whole lot more of us will soon be short of buying power. At the moment, the government is disinclined either to mandate better pay or to do what it takes to save the hindmost from the devil. Republicans in Washington are even arguing that penury is good for poor people — that, as Wisconsin Rep. Paul Ryan put it, a child receiving a free school lunch has "a full stomach and an empty soul." But even in our Democratic state, lawmakers' distaste for discomfiting the comfortable ends up hurting the already hurt. Remember that $15,000 deficit in the minimum-wage earners' family budget? What prevents them from getting ahead is called the "benefit cliff." They reach a point where they earn too much to qualify for the subsidies and tax credits but not enough to make ends meet without those benefits. The Kavet memo, while unreservedly endorsing a $10 wage, finds that a hike to $12.50 would have this perverse effect. That is not an argument against raising the minimum wage, however. It is an argument for figuring out how to ensure that a raise in pay will mean a rise in standard of living. The memo's authors recommend that the legislature reconcile benefit-eligibility guidelines with higher wages. Signing the National Industrial Recovery Act in June 1933, which put millions of people to work by winter, President Franklin D. Roosevelt declared: "It seems to me to be ... plain that no business which depends for existence on paying less than living wages to its workers has any right to continue in this country. By 'business' I mean the whole of commerce as well as the whole of industry ... and by living wages I mean more than a bare subsistence level — I mean the wages of decent living." What economy deserves to exist if it cannot provide even a bare subsistence for everyone? Can any moral Vermonter argue that it is bad for the economy to pay poor people more? What, after all, is an economy for? Full disclosure: Public Assets Institute founder and president Paul Cillo is Judith Levine's domestic partner.